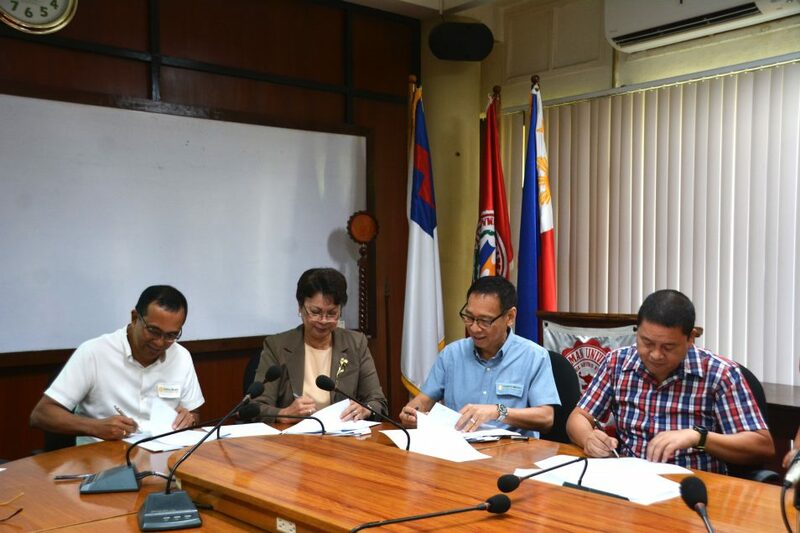 (L-R) GMC Executive Vice President Joselito F. Parco, SU President Dr. Betty C. McCann, GMC Finance Director Edwin Y. Kho, and SU Vice President for Academic Affairs Dr. Earl Jude Cleope sign the Memorandum of Agreement. Silliman University (SU) signed a Memorandum of Agreement (MOA) with General Milling Corporation (GMC) last December 4 to set up a feeds laboratory and conduct feed trials at the Scheide Farm, SU College of Agriculture. The feed trials aim to promote educational and technical exchange between SU agriculture researchers and experts from GMC and provide Sillimanians with valuable experience of industry practices in the research and development of feeds. (L-R) SU College of Agriculture Dean Dr. Jose Edwin C. Cubelo, faculty member Dr. Chona F. Javier, and GMC OIC of Technical Services Ma. Ernestina Elizalde attend the MOA signing. Faculty, staff, and students will be oriented and trained by GMC on how GMC conducts basic feeds tests and analyses protocols at their feeds laboratory facility in Lapu-lapu City, Cebu. The feeds laboratory shall be named SU-George Young Feeds Laboratory, in honor of GMC’s chairman and president. It has also been agreed that GMC will renovate some buildings and facilities at the Scheide Farm, such as the two existing broiler houses. The buildings will then be utilized by SU for animal research. GMC was established 1961 in Mactan, Cebu and is one of the country’s leading agro-industrial companies in the field of milling and feeds. The company dominates the Visayas market with their complete line of products for poultry, hog, fowl, and fish and pre-mixed feeds. 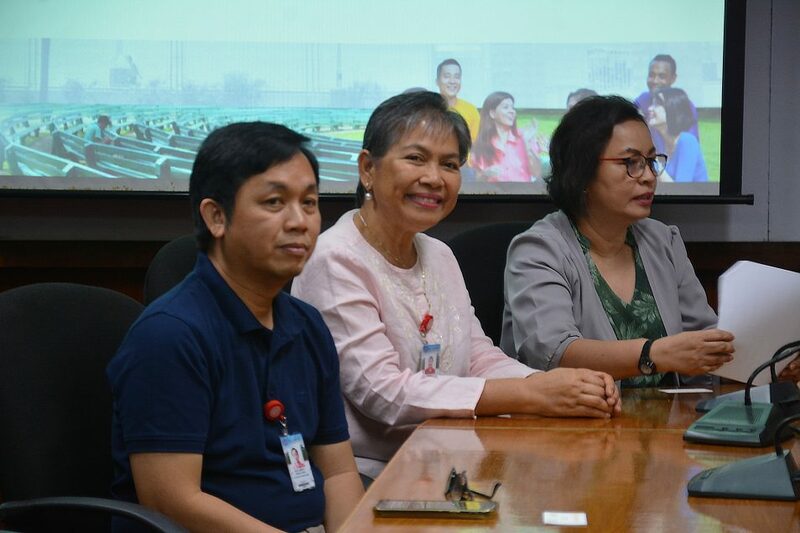 SU administrators and College of Agriculture faculty members with GMC executives attend the MOA-signing rites: (L-R, Front row) SU Vice President for Development Prof. Jane Annette Belarmino, GMC OIC of Technical Services Ma. 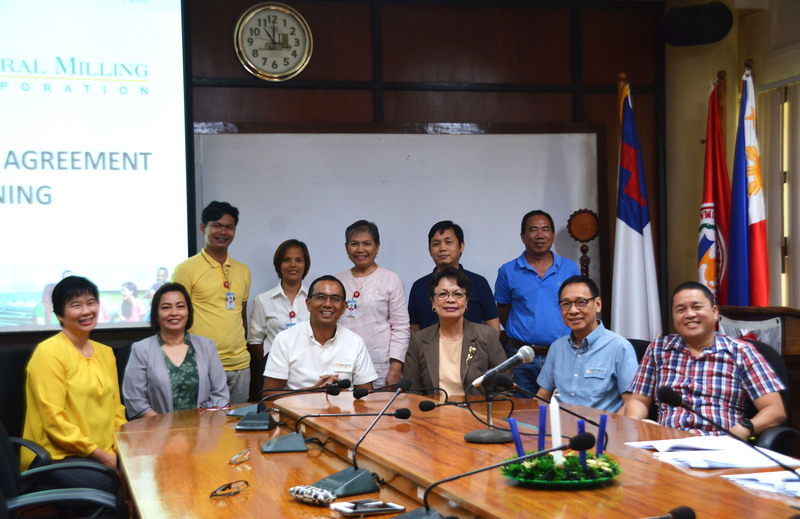 Ernestina Elizalde, GMC Executive Vice President Joselito F. Parco, SU President Dr. Betty C. McCann, GMC Finance Director Edwin Y. Kho, and SU Vice President for Academic Affairs Dr. Earl Jude Cleope; (Back row) SU College of Agriculture faculty members Arsenio D. Bulfa Jr., Asst. Prof. Merlyn Guzman-Buscato, Dr. Chona F. Javier, College of Agriculture Dean Dr. Jose Edwin C. Cubelo, and faculty member Asst. Prof. Al Gabriel Zamora.